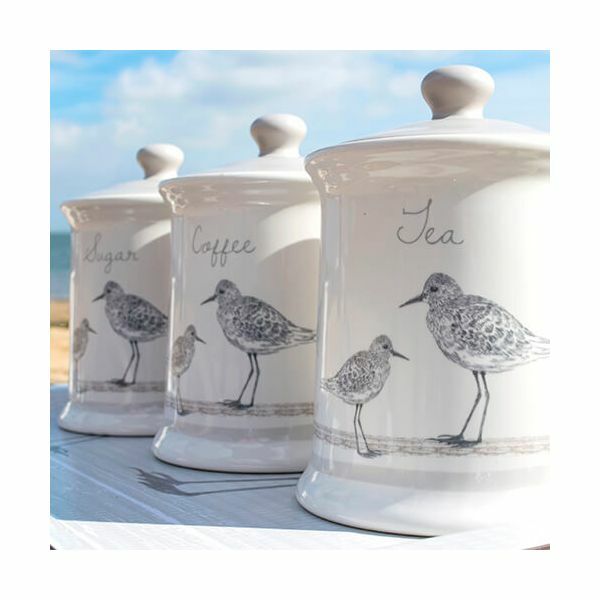 The Sandpiper Canister Set consists of a Tea, Coffee and Sugar canister all made from durable ceramic and hand crafted for this Sandpiper collection. 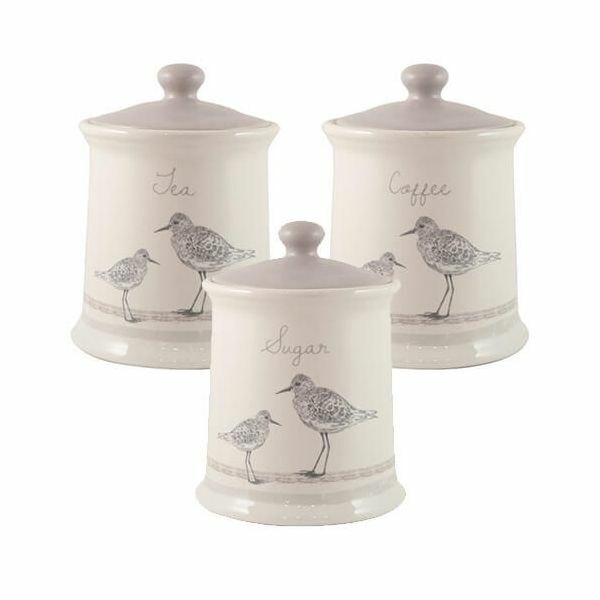 The beautiful designs features a pair of sandpipers in a delicate grey on the cream ceramic canisters. The canister set is ideal for storing tea, coffee and sugar. The lids keeps the contents clean and dry. Part of a collection this canister set makes a lovely gift.